THE V-SKIN GLOVE ADDS WARMTH AND COMES WITH AN ANTI-SLIP PRINTED PALM PROVIDING GRIP WITH EXCELLENT DEXTERITY. 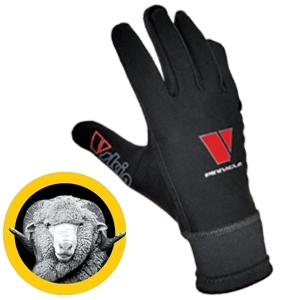 Technical fleece inside the wrist allows water to flow around the hands, keeping them warm. Merino lining is antibacterial while improving grip and warmth. Anti-Slip printed palm provides grip and dexterity. Ideal for tropical diving or adding warmth to any glove.